I keep on finding dead bumble bees in my garden & I feel certain it’s because there aren’t enough flowers out for them yet. Any ideas on ways to help? 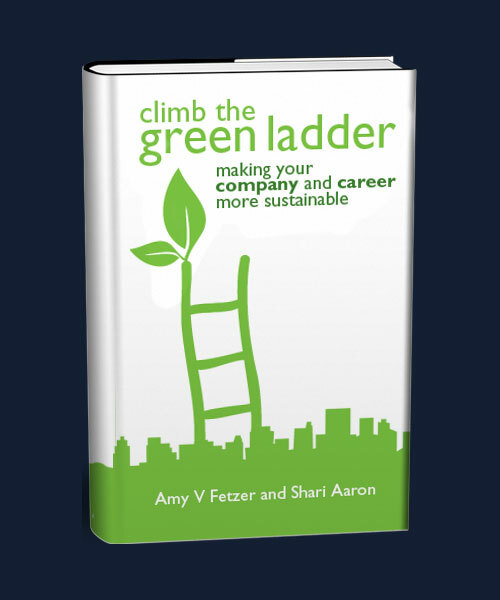 I’m super excited that Shari’s US launch for Climb the Green Ladder is happening in New York tonight. I’m so sad I won’t be able to be there, but flying over from London for the launch didn’t seem very sustainable. I can’t wait until there is a sustainable way to cross the ocean between us! (Check out, ‘Can aviation go green?’ for an interesting article on this topic). Here in the UK, I’ve been busy helping Gloucestershire launch their 10:10 campaign. This kicked off at the University of Gloucestershire yesterday morning. 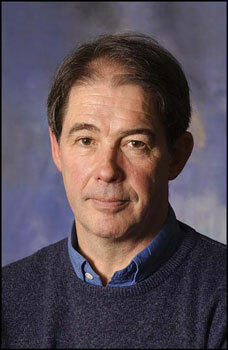 Forum for the Future’s Jonathon Porritt, 10:10’s Eugenie Harvey, Gloucestershire Green Guru (and Climb the Green Ladder case study) Sarah Daly and I all gave talks. The crowd included the local mayor and other business leaders, and our talks explained why they should and could take on the challenge to reduce their emissions and impacts by 10% in 2010. To find out more, check out this an article on the event here. The feedback from the event so far as been hugely positive so I’m reallylooking forward to getting updates as people start toreduce their impacts. Next, I spent a really enjoyable afternoon hosting workshops on ways to win with sustainability for local businesses in the area, going first to Ecclesiastical Insurance Group and next on to Commercial. Both companies have made great strides in making their operations more sustainable, but it was lovely to be told that they thought the Climb the Green Ladder toolkit would help them take things to the next level. That’s all for now folks! And keep getting in touch to let us know how you’re getting on in making your workplace more sustainable! Celebrations and a cover for Climb The Green Ladder! Thanks so much to all of you who took part in our poll! We’re sorry to have kept you waiting. We’ve had our heads down finishing the book. But, we’re thrilled to announce that the final manuscript of Climb The Green Ladder has been submitted to our publishers, Wiley! Now we’ve had a chance to come up for air, we’ll be back soon to give you updates from our work and our research, so watch this space! Vote on our book cover! Cast your vote in the polling box below and help us choose the Climb the Green Ladder book cover! We can’t decide between the white or green sky! As more and more employees try to take action on sustainability in their workplaces, our research has revealed the important role that values play. A key component in a company or organisation’s success in addressing climate change lies in their ability to connect to an employee’s sense of personal responsibility or values around the issue of sustainability. This is demonstrated by our survey findings. In the Climb the Green Ladder Sustainability in the Workplace survey, a majority (66%) of the 425 respondents choose ‘I try to be as sustainable as possible – at home and at work’. And, in a recent study by Tandberg/Ipos MORI of over 16,000 employees around the world almost 1 out of 2 employees (45%) say they, ‘have taken personal steps to reduce climate change’. The Tandberg study also shows that one quarter of employees (24%) believe, ‘that their individual actions are a key to driving environmental change’. As we review the hundreds of responses from our survey, one thing is clear: it is vital for companies or organizations to tap into an employee’s sense of personal concern and responsibility regarding sustainability. If you are working to get your boss or co-workers interested in your initiatives, you will ensure greater success by connecting your ideas to both the business case and to your co-workers’ personal values around sustainability. Thanks for sharing your thoughts. Keep on sending them in! Want to hear the latest findings from Climb The Green Ladder from the horses mouth? 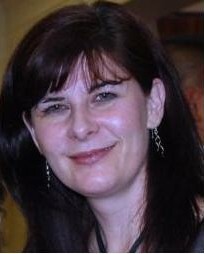 Amy will be speaking on the Sustainable Business Initiatives Panel at UK Aware (www.ukaware.com), Olympia 2, London at 4.15pm on the 17 April 2009. For your free Climb The Green Ladder ticket, visit the UK Aware website and enter this promotional code: UA09spe. Do come and say hi if you can make it!